Often, we would like to add a note to each of our mails, for future reference or action. This needs to be done without disturbing the original mail, but it should be available every time you view that mail. Just like sticky notes for Gmail! Just install the extension Simple Gmail Notes (available for both, Chrome and Firefox). Once installed, you can write brief notes for each of your mail threads on Gmail. This extension is 100% free and open source. Your notes are stored on your own Google Drive. You can write any text in your notes, give them different colours and even add your notes to your Calendar. This simple utility gives you immense power to put Sticky Notes or Post-Its to each of your email threads—get more productive! 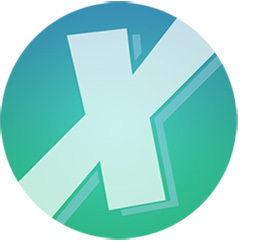 Comics by ComiXology is a treasure trove of your most-loved comics, across the world. Get ready to explore over 100,000 digital comics, graphic novels and Manga from Marvel, DC, Image, and more. By downloading the comiXology app, you can buy books in-app and get instant access to all your titles on all your devices, giving you a pleasant reading experience. Whether this is your first experience with comics or you’ve been a fan for years, get ready, because comiXology is going to change the way you explore the world of superheroes, sci-fi, crime noir, horror, and more! Several free titles are available and, once you are convinced and ready, you may go on for the paid ones. So, get ready to read thousands of comics, graphic novels and Manga, like Civil War, Guardians of the Galaxy: Cosmic Avengers, Ms. Marvel: No Normal, Attack on Titan, Adventure Time, Peanuts, Buffy the Vampire Slayer, Lumberjanes, Saga, Transformers. Have Fun! Hope they have Bahadur, Supandi, Chacha Chaudhary too. Medium is made for you: people who are genuinely curious about the world and your part in it. From opinion pieces to interviews to in-depth reportage, photography and features, Medium stories take many shapes; but always leave you with a greater insight into the world around you. Medium features a clean reading experience designed to let you focus on the story (without an ad in sight) wherever you are, from your commute to your couch. Members can read a select number of stories each month for free—or go for a monthly subscription, for unlimited access. The Homepage is curated, based on your personal interests and editor’s picks. The stories on Medium are in multi-part collections that you can binge-read or savour over time. You can explore expert columns, multi-author anthologies, comprehensive explainers and the monthly magazine. The app is designed to let you focus on the words. Bookmark stories on your personal reading list. Join the conversation by writing a response. Clap for stories to show writers your appreciation. If there’s a particular line or passage that intrigues you, highlight it for posterity. 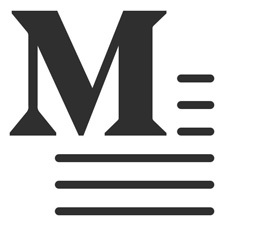 Explore a different way of reading with Medium.